There are some projects we print and I look at them in amazement and think wow, we made that. Recently it has happened more and more often, as the level of print projects we are turning out is in my opinion, of a different class. This is one of them. A long standing business client came to us with a request. 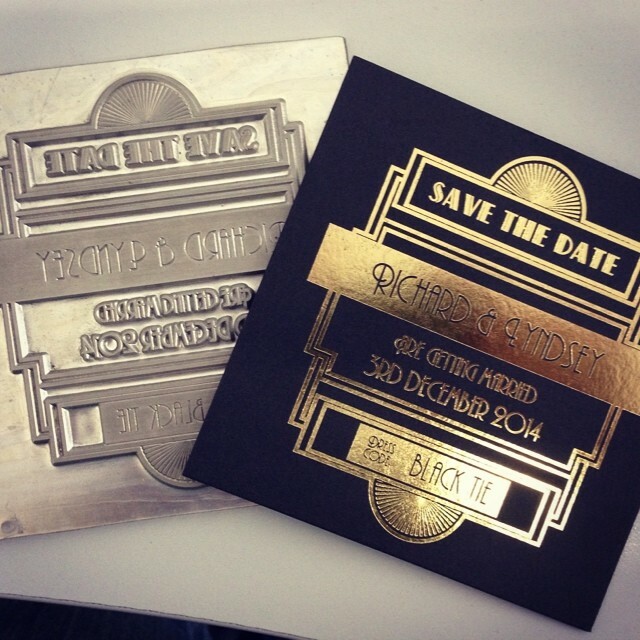 Give me the most fabulous wedding stationery inspired by The Great Gatsby movie. I think we delivered on this one! What you see above is a save the date card like no other. Designed by Nuala, the brief was as mentioned above to create a bespoke set of wedding stationery based on the 2013 released Great Gatsby film. While I cant say Iâ€™ve seen the film myself or read the book, I am very much aware of the style, the opulence and the theme of the movie. If I saw this wedding stationery for the first time. I think of the Great Gatsby straight away. Apart from the design, what makes this wedding stationery set so special is the manner in which we printed the order. Instead of attaining a white piece of paper, and printing in CMYK. We ordered a bespoke GF Smith black card and then foil blocked the artwork with a gold foil. It is a rather special project and I am so excited to see the Gatsby themed wedding invites, place names and table plan. They are going to be Beautiful Dahling. Technical Babble The metal plate you see in the photo is the foil block. This along with heat helps the foil fuse to the paper. This is much like the process of a traditional letterpress and in fact, the machine used to do this particular job is an old Heidelberg printing press which is 93 years old. In this day and age where digital printing and speed / cost is at the forefront of everyones mind, it is always a great pleasure to provide some of the highest quality printing from days gone by to our clients. There are practically no companies in Belfast that offer foil blocking services, as it is seen as something of a dying trade. So whenever we have the opportunity to foil block, we most certainly relish the job wholeheartedly. 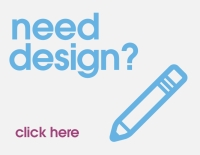 Drop us a call on 028 9002 2474 and weâ€™ll chat through the project.